HDMI F to Micro HDMI M Cable Adapter for Nikon CoolPix P900Features:Gold Plated High Speed Female HDMI (Type A) to Male Micro HDMI (Type D) Adapter100% brand newConnects portable Micro HDMI devices to Standard HDMIEspecially compatible with Blackberry Playbook and Asus Transformer PrimeConverts HDMI Cables to HDMI Micro ConnectionCompatible with many mobile devices, connect your favorite mobile devices to HDMI outputsConnect your portable HDTV DVs / Cameras / Game Consoles to your HDTV with a true HD connectionSupports 480i, 480p, 720p, 1080i, 1080p,1440P resolutionSupports Highest Refresh Rates AvailableGold Plated ConnectorsColor：BlackHigh qualityIn shipping package: 1 x AdapterKindly Note:If you are buyer from US, we recommend you to chooseePacketshipping way, because it is very fast and just take about 10-15 days to reach you, thank you.If you are buyer from other Countries, we recommend youStandard Int'l Postage.Thank you.If you need a huge quantity, contact us to get more competitive offer.Please do not open case or leave us negative feedback before contacting us, we will help you solve the problem until you satisfy. Thank you:)Shipping & Handing:We Ship to Worldwide, except APO/FPO.Items are shipped soon after getting your payment. It would take 15~27 days to reach you.If you have not received your shipment within 30 days from we send it out, please contact us. We will track the shipment and get back to you as soon as possible with a reply. Our goal is your satisfaction!Due to stock status and time differences, we will choose to ship your item from our first available warehouse for fast delivery.Payment:We accept payment by PayPal,Credit Card, Bank Transfer and other Payment that eCRATER supports.Refund and Guarantee:We do our best to serve our each customer the best that we can.One Year Guarantee.If you are not satisfied when you receive your item,please return it within 14 days for a replacement or full money back. Please contact me before you return it.If item is defective in 3 months, We will send you a replacement without extra charger, or offer refund after we receive the defective item.If item is defective after 3 months, you can still send it back to us. We will send you a new one after receiving the defective item. But you have to pay the extra shipping fee.We do hope to do more business with more friends worldwide, we will try every effort help you solve any problem encountered after purchase. Please contact us for solution before open dispute or left us natural or negative feedback. Due to time zone difference, please give us 24 hours to reply your email or call.Other Policies:We are not responsible for any custom duty or import tax.We will leave POSITIVE FEEDBACK after receiving the payment. Please contact us if you are not satisfied with the item after receive it.All emails will be answered within 1 business day. If you do not receive our reply, please kindly re-sent your email and we will reply to you as soon as possible.Serious Buyer Only! Please place buy only if you agree with all the terms. 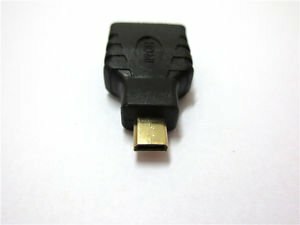 Mini Display Port DP To DVI Converter Cable For Lenovo ThinkPad X1 12"